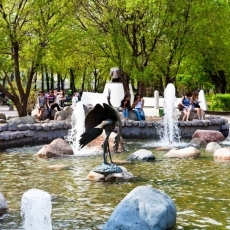 Everybody heard about this monument of the foundry art and defense technology. No one tourist leaves the city without seeing this wonder of engineering. 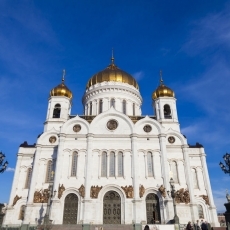 Because it became the monument of the Russian armoury mastery and was listed in the Guinness book of records for the largest caliber in the world. g 0 ч. 40 мин. 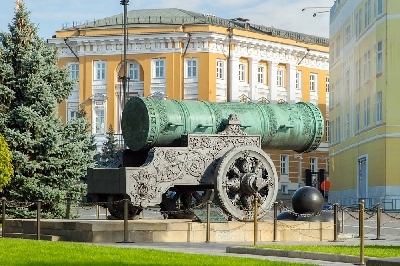 The medieval bombard was casted from the copper-tin alloy (bronze) on the territory of the Cannon Yard by the cast master A. Chokhov in 1586 by the decree of the Tsar Feodor Ivanovich. 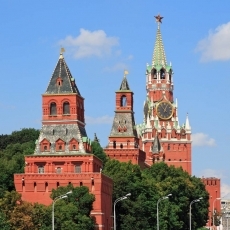 Originally, the cannon was supposed to defend the Kremlin, that is why it was set up on the wooden platform near the Place of Skulls (Lobnoye mesto). 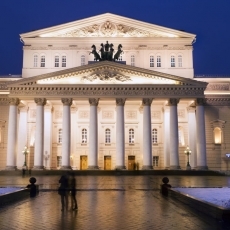 Later, it was located in the Kitay-gorod, defending the temporary bridge over the Moscow River from the invasion of the Crimean Tatars. However, the cannon never participated in the battles. 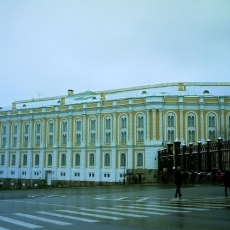 In the XVIII century it was replaced to the courtyard of the Kremlin Arsenal building, and after the construction of the Kremlin Palace of Congresses, in the 1960s it was relocated to the Ivanoskaya Square, where it is up to present days. 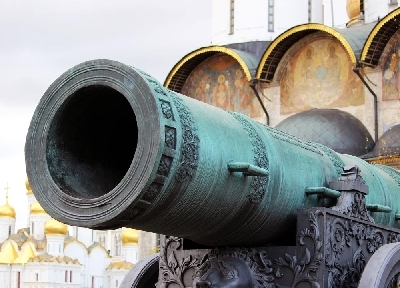 The outer diameter of the Tsar Cannon is 120 centimeters and has a caliber of 35 inches with the weight more than 39 tons. 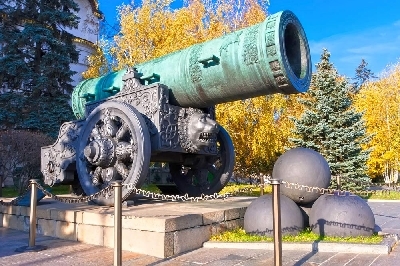 The cannon, which is belted with the relief decorations, on the right side of the gunpoint has a portrait of the last tsar of the Rurik dynasty on a horseback. 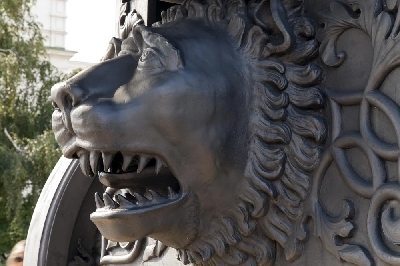 The pedestals and cannon-balls are also decorated with the cast ornaments, which were created by the design of the architect A. P. Brullov at the Baird Works in Saint-Petersburg. 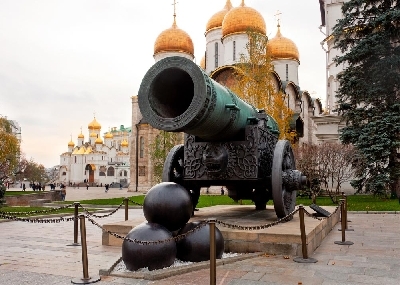 The cannon-balls have a weight of almost 2 tons each and have exceptionally decorative purpose, because the Tsar Cannon is assigned only for buck-shot shooting. 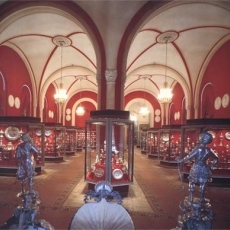 Nowadays, the famous arm has a lot of replicas. 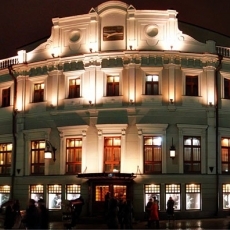 In the second half of the XIX century the biggest in the world cast-iron cannon with the diameter of 20 inches was created in Perm. Unlike the Moscow cannon and other copies, this one is a service weapon with a firing range of almost 1.5 kilometers. 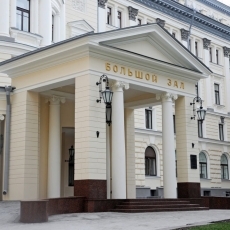 Other replicas of the famous piece of ordnance are set up near the City Hall building in Donetsk and next to the art gallery in Yoshkar-Ola.